The Writer has been instructing and inspiring readers since 1887. The mag covers the nuts-and-bolts of writing, with everything from how-to stories and reported articles to narrative essays. • Breakthrough — First-person articles about a writer’s experience in “breaking through” to a market, which includes advice and lessons learned. This section runs about 700 words. 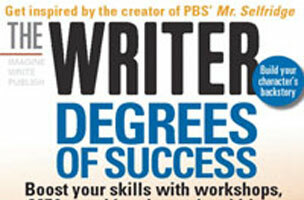 • Freelance Success — Tips on the business of freelancing in about 1,000 words. • Writing Essentials — These articles cover the craft of writing. The section runs 800 words and should include a sidebar with resources. • How I Write — An interview with an author that contains a short bio and runs about 600 words. 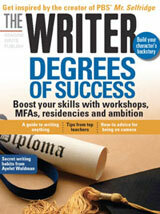 To learn more about the mag, including editors’ contact details, read: How To Pitch: The Writer.